Play Therapy - Revolutionary Change: Explore. Transform. Heal. 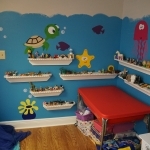 Our play therapist at Revolutionary Change Counseling Brittany Waldrop has a dedicated play therapy room that is filled with items that help with the therapeutic process. Please see pictures below. Further, studies have showed that play therapy is very effective for children and their families. For instance, it decreases hyperactivity with children with ADHD, reduces behavior problems, fewer internalizing problems, improves academic performances, reduces aggression, and most of all it improves parent-child relationship in adoptive families. 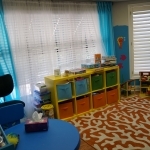 As stated in the above paragraph, if you think your child or children may benefit from play therapy, please call Revolutionary Change Counseling (813) 331 – 7673 to provide counseling services for individuals, couples, families, and children. We are in Apollo Beach and we service the Riverview, Brandon, Ruskin and the surrounding Tampa Bay Area.